No studies can determine that music can be useful during the growing of the baby in the womb, but it’s proved that sounds or voices have an impact on the developing brain of the child. They can hear and they also react to sounds by moving. Starting from the origins, lullabies and baby songs have been sung for centuries to soothe babies. Nowadays many parents use music, specifically classical music, directly on the belly for the fetus, because they think, or maybe hope, that it makes their children smarter and more musically inclined. Scientists don’t think so. What it’s sure, is that babies in mother’s uterus spend most of their time sleeping, but playing music directly on the womb, using earphones or a hi-fi, can be a salient stimulus throughout the perinatal period, as well as the mother’s voice, and a calming method and a relief of course for the mother during pregnancy. Rap and hard rock, together with other kind of fast and noisy music can be used, but aren’t recommended, as studies have shown that consistent exposure to “chaotic, discordant music” can have a negative effect on the baby. Classical music is the most common choice among mothers who play music during pregnancy, in particular the music of Mozart, to prepare the unborn infant’s ears and brain for the outside world. But all sorts of slow and peaceful music can be used, of course. For example new age music, piano music, not jazz, and other instrumental music that gives to pregnant mothers and their babies a sense of relaxation and calm during pregnancy and why not, also during childbirth. 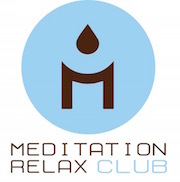 Meditation Relax Club created a series of 4 compilations for new mothers and their babies, going to meet every musical taste. “Pregnancy Music for Labor” of Pregnancy Soothing Songs Masters is the new album series, now available on iTUNES STORE, starting from the classical collection of famous piano pieces and sweet lullabies. The new age music version for yoga and meditation during pregnancy; the relaxing harp music collection for music therapy and a soothing music version of the “Pregnancy Music for Labor” album, which contains a mix of classical and zen music with nature sounds for a perfect and pure relaxation of both mother and child. The bottom line on playing music for your baby is to play music you enjoy. Play music that relaxes you or makes you happy. Your mood has an effect on your baby boy or girl. If you are relaxed and happy, that is good for your child, too.